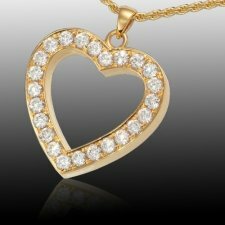 What is a cremation necklace? 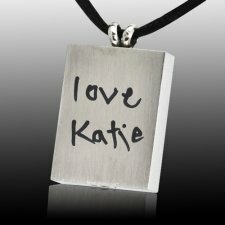 Cremation necklaces allow you to remember your loved one with a beautiful piece of art that you can wear anywhere you go. 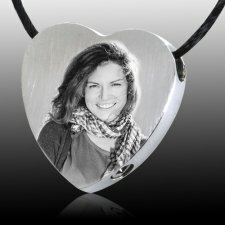 Celebrate the life of your friend or family member with an urn necklace from Memorials.com. 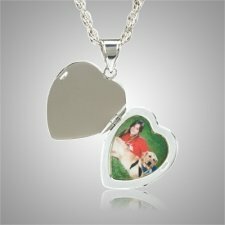 We all must deal with the loss of a loved one at some point in our lives and having a unique piece of art to show off your special someone to family and friends is a memorable way to keep their memory alive. 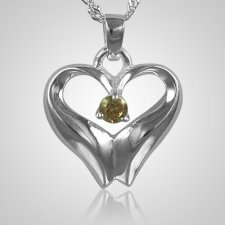 A cremation necklace, or urn necklace, is a silver, gold or stainless steel chain of jewelry that you wear around your neck that allows you to take a small portion of the ashes of your cremated loved one along with you. 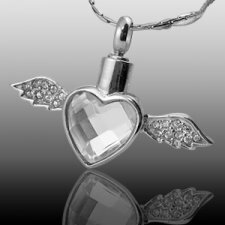 Some glass cremation jewelry allow you to fuse the ashes of your departed friend in with the glass when the artist creates your one-of-a-kind piece of art. 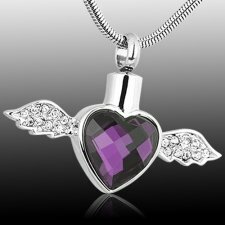 Do the cremation ash pendants come with chains? Yes. 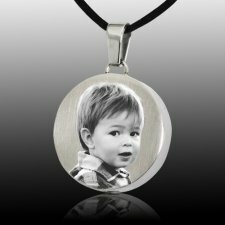 All cremation pendants come with at least a black satin cord. 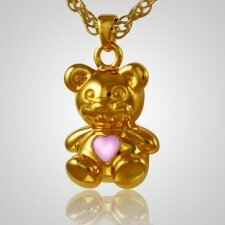 More stylish chains are available in stainless steel, sterling silver and 14k gold starting at $15. 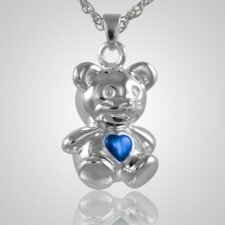 Adding a chain to your order is easy. It's one of the first options we ask you about before you add your cremation necklace to your shopping cart. 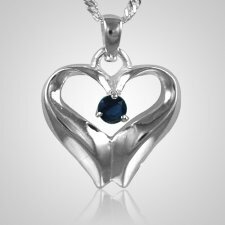 What are the different types of cremation necklaces? 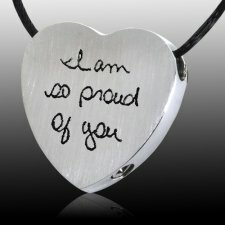 We also have dozens of pieces in our unique cremation jewelry section. These special pieces have been hand-selected by our staff as truly special and different. 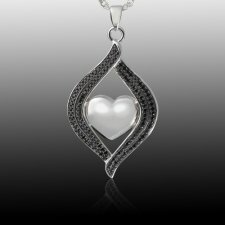 Every piece of cremation jewelry in this collection is made out of glass. 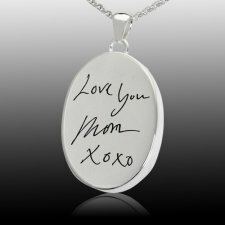 Most of these pieces require you to send us some of your loved one's ashes, and then we have our talented artists mix and fuse those ashes into an amazingly unique piece of art that you can wear all the time. These are really one-of-a-kind pieces. We also have glass urn jewelry in this section that are small glass pendants with a reseptacle to store your loved one's ashes. 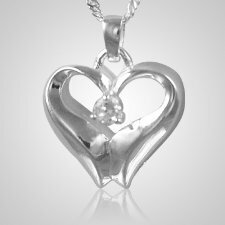 We have thousands of pieces of stainless steel cremation jewelry for you to browse through. 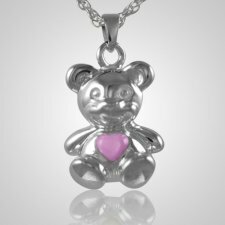 All of the pieces in this collection are made out of tough stainless steel. Affordable yet durable, these pieces are capable of standing the test of time. 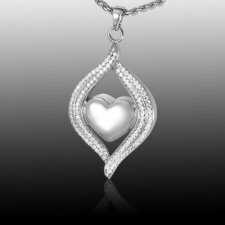 More in the mood for something elegant? 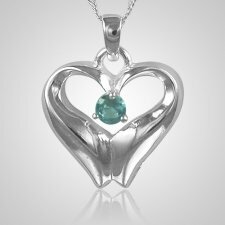 Then, a piece of sterling silver cremation jewelry may be more what you are after. 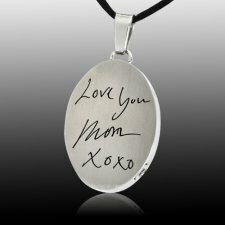 Many of our cremation necklaces come in sterling silver, so there are a lot to choose from. 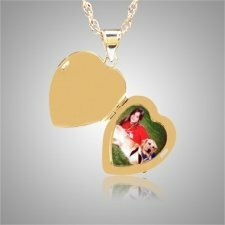 Some of our top of the line inventory are featured in our gold cremation jewelry section. 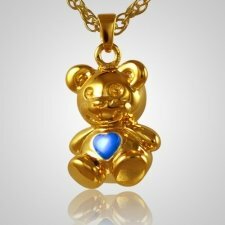 These 14k gold cremation jewelry pieces are perfect for honoring a loved one who you want to remember in a classic and timeless way. 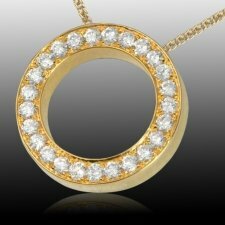 There are also some pieces available in 18k gold, as well. If you love wood, we have you covered. We have a small collection of beautiful, real wood pendants for ashes. These pieces are perfect for those looking for something more natural or with earth tones. 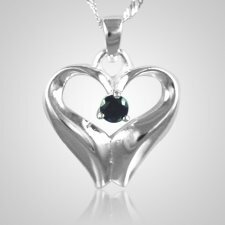 Made out of stainless steel, sterling silver, gold, glass, pearl or even onyx, we have a variety of heart urn necklaces just for you. 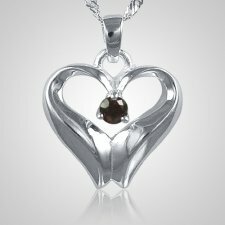 These beautiful hearts allow you to place the ashes of your special one inside and keep them close to your heart. 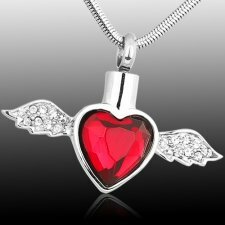 For our Christian patrons, we also have a number of cross necklaces for ashes. These also come in stainless steel, sterling silver or 14k gold. 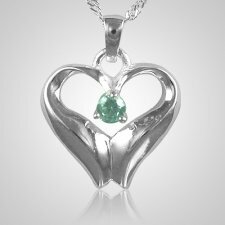 We also have cremation jewelry in a variety of different animals including: butterfly, hummingbird, dragonfly, eagle, elephant, horse, dove, dog and cat to name a few of the most popular. 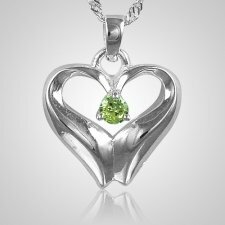 If you are a lover of the outdoors, we also have amazing nature cremation jewelry. Leaves, nuts, flowers, stars, moon, sun, zodiac symbols, shells, fairies and more. Last, we have beautiful cremation rosaries that are perfect for taking your loved one with you to church. A cremation rosary from Memorials.com is perfect for when you are praying at home or at church.